libreoffice 3.5 crashes all the time and says "not responding". steam has crashed saying the same thing. I have been using a new SSD for a while now (OS installed on this) and have had no problems until 2 and half weeks later. Just installed spybot search and destroy recently also. And used the solution where I remove a RAM stick and set the BIOS to default settings. This worked for about 45 minutes (longer than usual) and then the same problems occurred again. Then tried uninstalling avira antivirus - no use. Un-installed spybot to see if that was it, but could not reverse changes it made (advised when un-installing) as it said their were no changes. I am thinking this is a hardware issue or maybe a virus? If you have any extra SATA cables then try swapping them out. SATA cables (especially those that come bundled with new hardware) can be pretty flakey sometimes and cause all sorts of errors. Another remote possibility is RAM incompatibility (if you built the PC yourself). I had some OCZ RAM last year that was incompatible with my Asus motherboard. Memtest passed 25 passes and reported no errors yet I was getting very random corrupt downloads. What SSD are you using? Some suffer from "write-delay" pauses, as their controller tries to rearrange free space. You also need to have TRIM enabled: in a cmd window, type "fsutil behavior query DisableDeleteNotify" - if you get a 0, it is. If it isn't, type "fsutil behavior set disablenotify 0". Firmware updates from the manufacturer can also fix stuttering, as they come up with better algorithms. I am thinking spybot now then. You have to install the firmware from a non windows drive (OS is on SSD). Cannot find the latest version either. Using version CC38 currently. Going to backup and then reinstall OS. I'll give it a couple of days working and then award points. Sounds good. Once the OS is installed fresh, don't install antivirus/antispyware software just yet. Go ahead and test all of the programs that were crashing first. If they work fine, then one of the antivirus programs was the problem. If things are still crashing, then we know we are dealing with a hardware issue. Let us know how things work out. New HD tune program now shows version 2.15 luckily. Open office now and so far so good, might do a disk check at some stage anyway. Points by april fools day! Well I re-installed Windows on the SSD - takes about 3 hours which is strange. That was the 29th I think. Had one open office crash on 30th and one today. So its much less frequent but something still must be wrong - or is it that ive got about 5 documents open at once? 5 documents open at once should not be a problem. 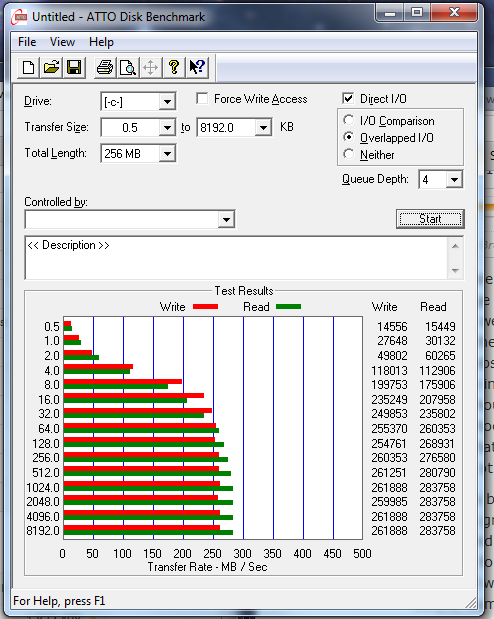 Can you run ATTO (http://www.attotech.com/products/product.php?sku=Disk_Benchmark) and post the results? You can also try a different SATA cable and port, but you need to rule out that office software as well - is it crashing in anything else? 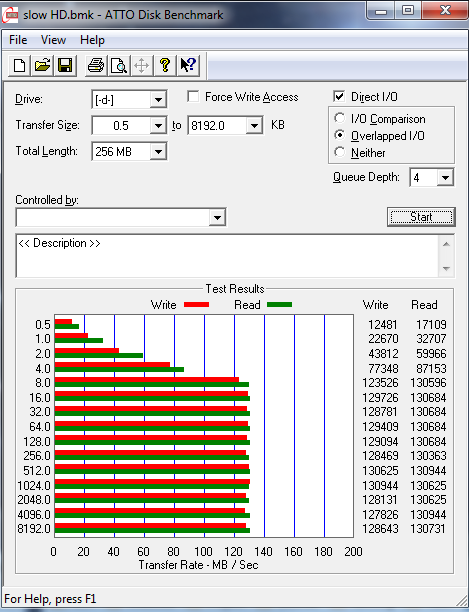 Attached are the results as images, SSD first then mechanical HD - cannot attach bmk or zip with bmk in it. Steam is the only other thing that crashed on my desktop. Cannot believe this, my laptop keeps showing the cursor in loading state - the same problem I had before re-installing my desktop OS. On laptop also - open office crashed today therefore I am now thinking its malware and I think I know the program. Might run this program in a VM ware from now on. My fault then - will award points, but have a look at the results please. Your hardware looks perfectly fine. TDSSKiller will find any rootkits, and MalwareBytes in combination with MSIE should cover most of the malware.